Celebrity genealogy series. Baker Paul Hollywood finds out about his grandfather's experiences in World War II, serving as an anti-aircraft gunner. Baker Paul Hollywood grew up very near his maternal grandparents and was particularly close to his grandfather, Norman Harman. The discovery of Norman's service medals sends Paul off on a journey to find out about his experiences in World War II, serving as an anti-aircraft gunner. Paul discovers that, having survived extraordinary danger in Tunisia, his grandfather found himself in the middle of an even more treacherous battle when he was sent to Italy as part of the Allied invasion force. Norman ended up stranded on the beaches at Anzio, surrounded by Germans - with nowhere to hide. Further up his tree, Paul also discovers stoic Scottish ancestry - and a very demanding job! 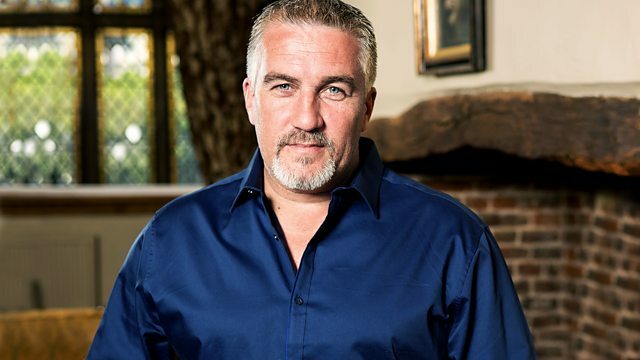 Paul Hollywood: "What's my genetic structure?"